Just read that Group FaceTime won't be released at the time of iOS 12's official public release. Definitely a downer for me as that's the only feature that really excites me with iOS 12. Hopefully we won't be waiting terribly long for it. Don't really care. It's platform locked, which makes it unusable as a primary video chat solution. I use Skype, instead. It works well, and does FHD video chat which looks considerably better on computer screens than FaceTime ever has when coupled with a good Logitech webcam. I've already turned off Messages in iCloud. 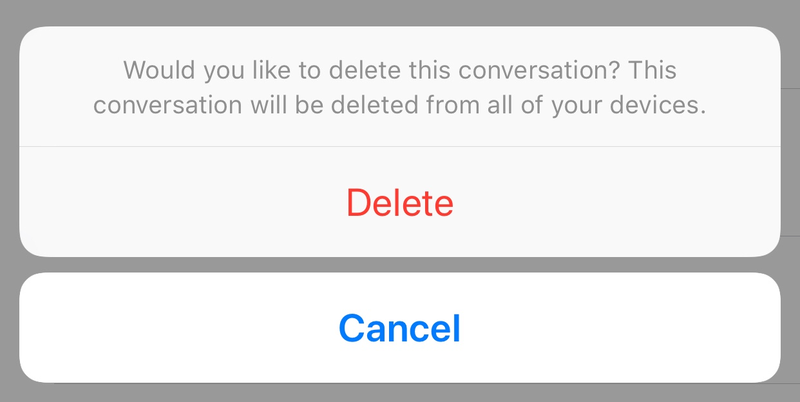 The constant prompts to delete a conversation just killed it for me. There is no way to turn that off, and it significantly "slow down" use of the Messages app on both my iMac and my iPhone. The benefits aren't worth the annoyances. This is a bummer. I was actually looking forward to Group FaceTime. Hopefully, it doesn’t take them long to fix & release it. The locked platform thing kills me because it’s nothing new. Google was a platform for services well before it started making devices & an OS. Apple has never been a platform for services. If Skype works for you then that’s awesome. For me, I’m not a fan of downloading a million apps to do something my native system should already do. I was the same way when I used Android. To each their own. Where/when does this prompt show up? I haven’t seen it. My thoughts exactly. I don’t get any prompts to delete iMessage threads. Skype isn’t a million apps bits one app that works on everything. On iMac you get a prompt every time you slide to delete a conversation. Something I do a lot. You can no longer slide to delete on iOS. Now you must slide, press delete, and then respond to the same prompt. It also means that deleting a conversation is now a two handed operation for me, since I’m right handed but hold my phone in my left hand normally. I just checked settings, and no where can you turn this off to get back to the previous behavior. Pretty much unsure how you are not seeing this. I just tested the prompt thing & I don’t get that message because if I delete a conversation, it’s usually more than one. From the looks of it, deleting one at a time will bring up the message. That message only appears if you use iMessage on iCloud. So I keep it turned off (turned on temporarily to grab the screenshots).